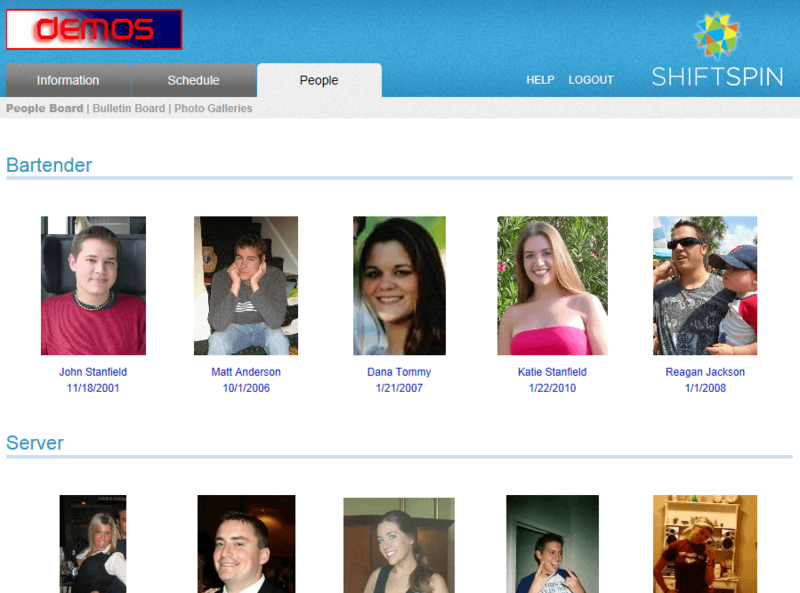 SHIFTSPIN.com is not just a scheduling website, it is a completely customizable, individual website for your store. 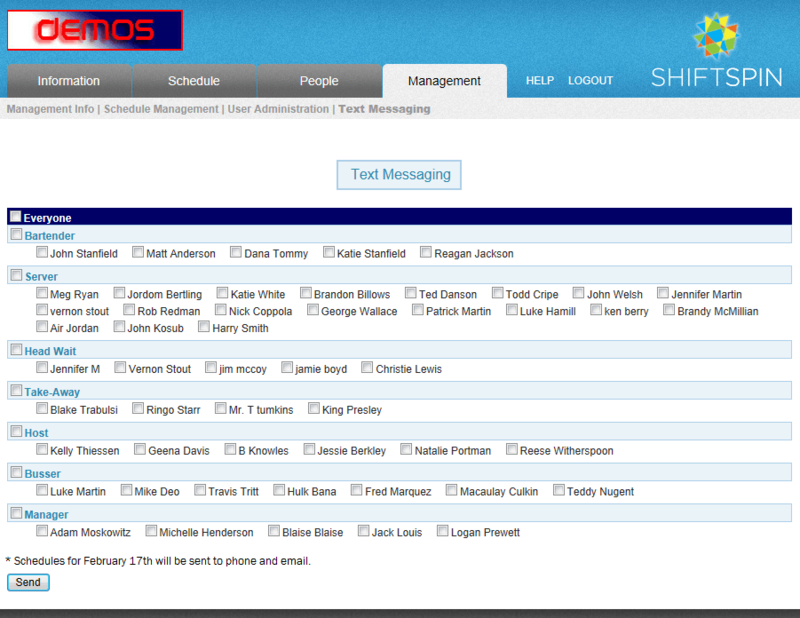 activities, shifts, events, and schedules as soon as you login. and submit schedule requests 24/7 anytime, anywhere. 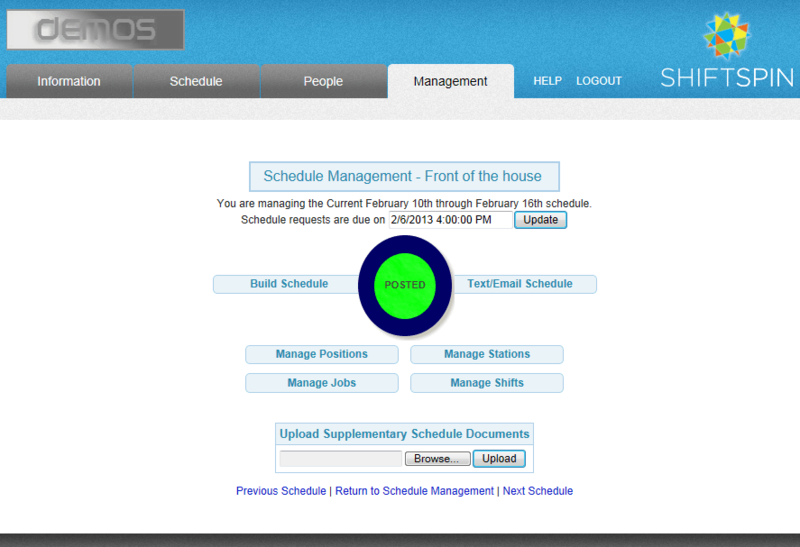 Build the schedule online an average of 80% faster! The schedule also double checks itself for an error-free result. then you make an informed schedule. 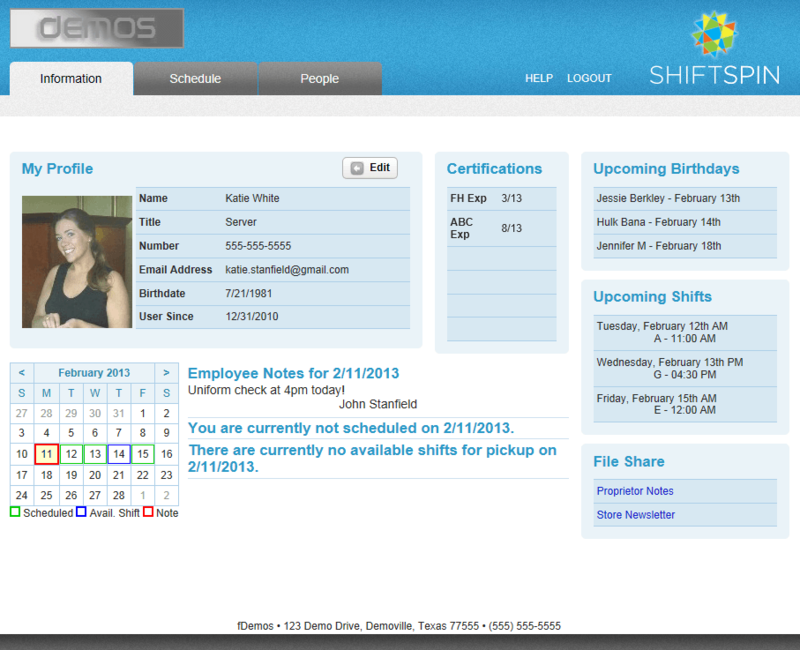 SHIFTSPIN.com even monitors your labor costs. 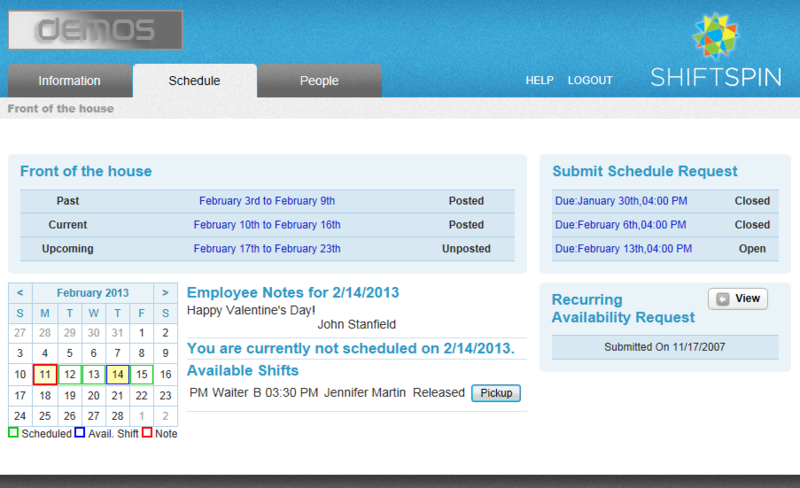 notes and schedules to employees for better communication. with other employees, in the online employee community. Commemorate events, shifts, and fun times with pictures in the photo gallery. Easily upload employee documents such as Store Newsletters or managers-only documents such as directionals. Browse the website from your cell phones. For our current and future SHIFTSPIN users who continue to use our program, we plan to reward you with even more features that will benefit you and your business. We believe that in order to stay competitive, we must constantly look for ways to improve and features to add. We would appreciate any suggestions, big or small, that will allow you to run your business more effectively.